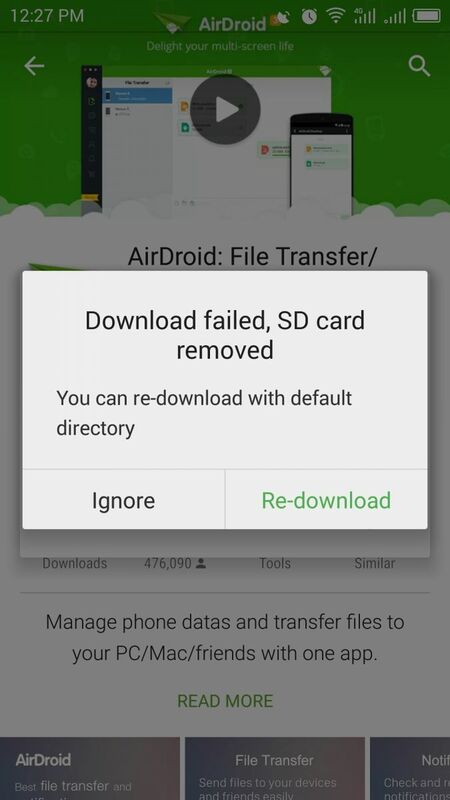 Issues with AirDriod app installation in Meizu M1 Note. When I try to install this app in Meizu M1 Note, I am getting the below given error which is strange, as M1 Note doesn't have the SD card slot. Let me know how can this fixed. BTW, we are on the Flyme OS 5.1.9.0G version. Re: Issues with AirDriod app installation in Meizu M1 Note.